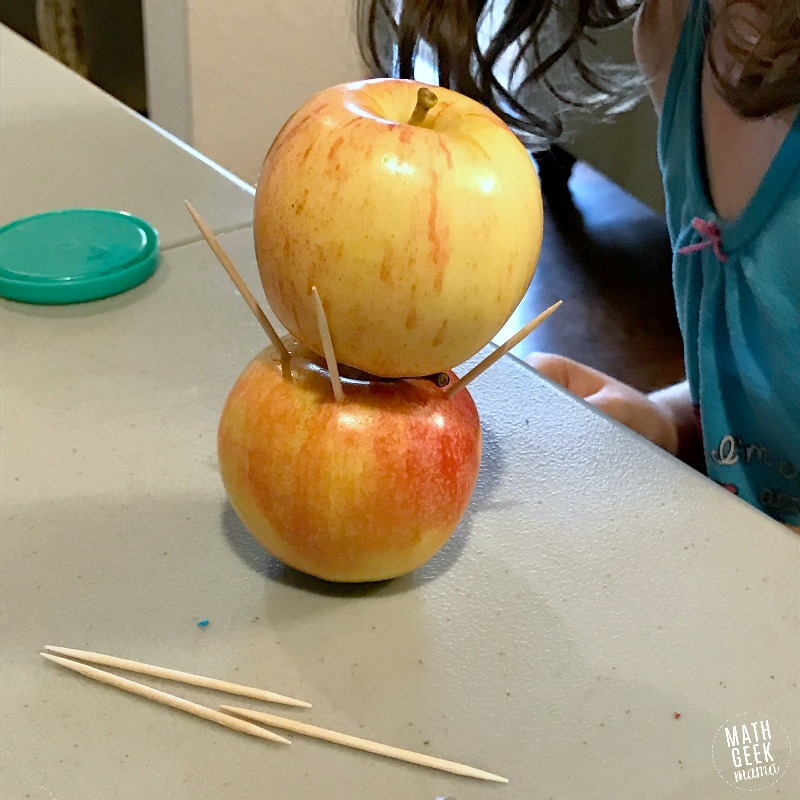 Looking for a fun and easy to set up STEM challenge for fall or back to school? 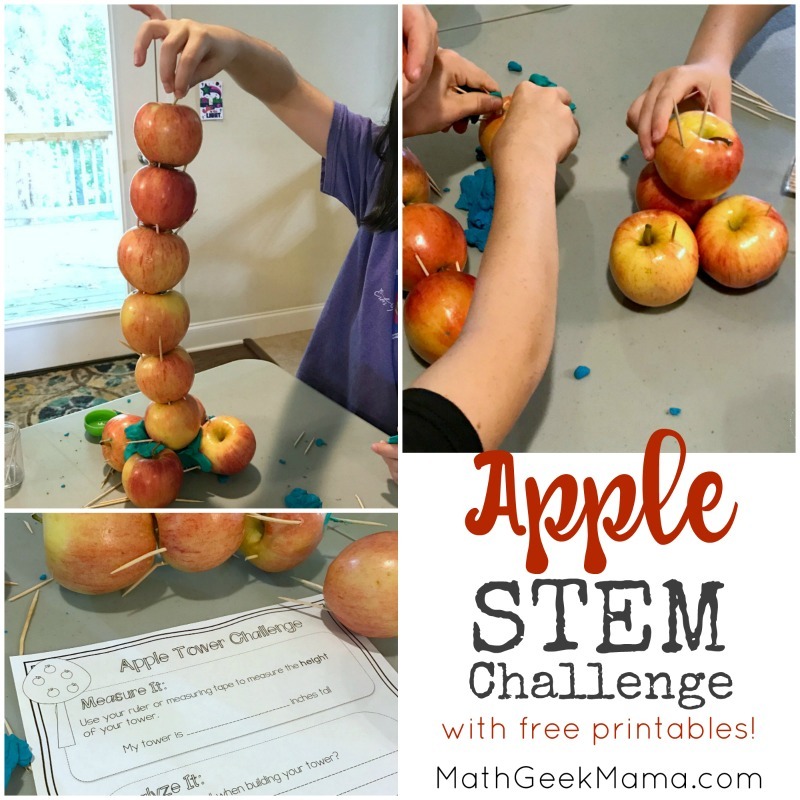 This Apple STEM Challenge has been a favorite of my kids and kept them busy for almost an hour! Now if you’re a classroom teacher, you may not have time to let your kids play and explore and test for an hour. But I guarantee your kids will enjoy this challenge and will be thinking creatively and out of the box. 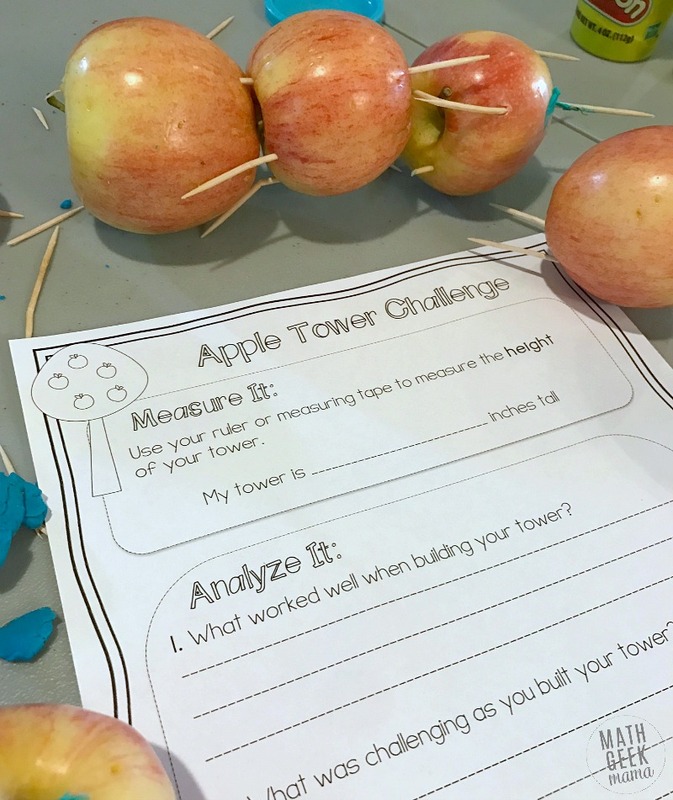 This would also be a great STEM challenge to include in an apple unit study, or along with a field trip to an apple orchard or to go along with the book, Ten Apples Up On Top by Dr. Seuss. Your kids will work on engineering skills such as design and problem solving, as well as measurement skills. 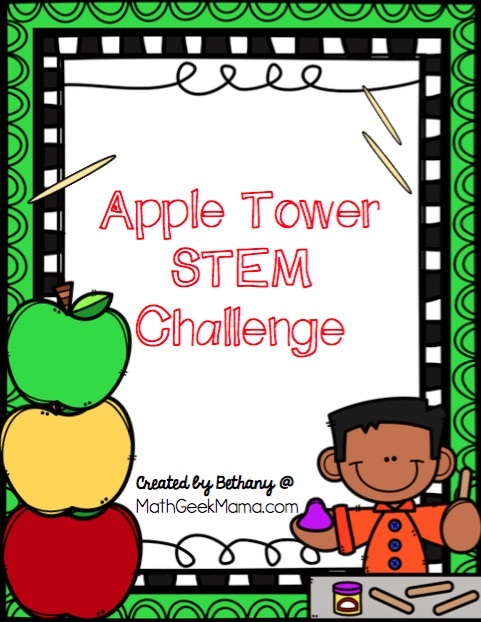 Have fun with this easy Apple STEM challenge! There is literally no set up required for this challenge. All you have to do is gather the materials for each group of students, and you’re all set! I would suggest, however, walking through the instructions and initial questions as a whole class before letting kids loose, especially if you are doing this with Kindergarten kids. 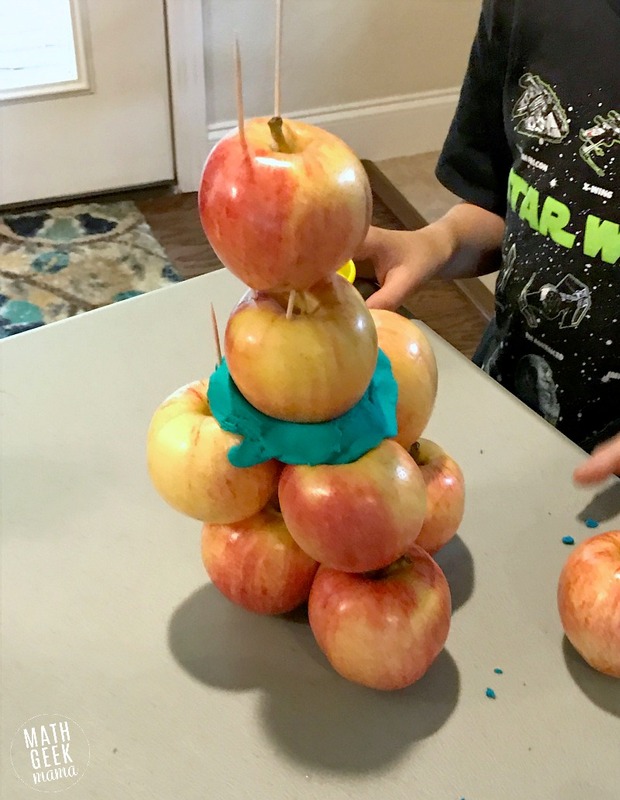 To start, explain the challenge: build a tower or structure out of ten apples. 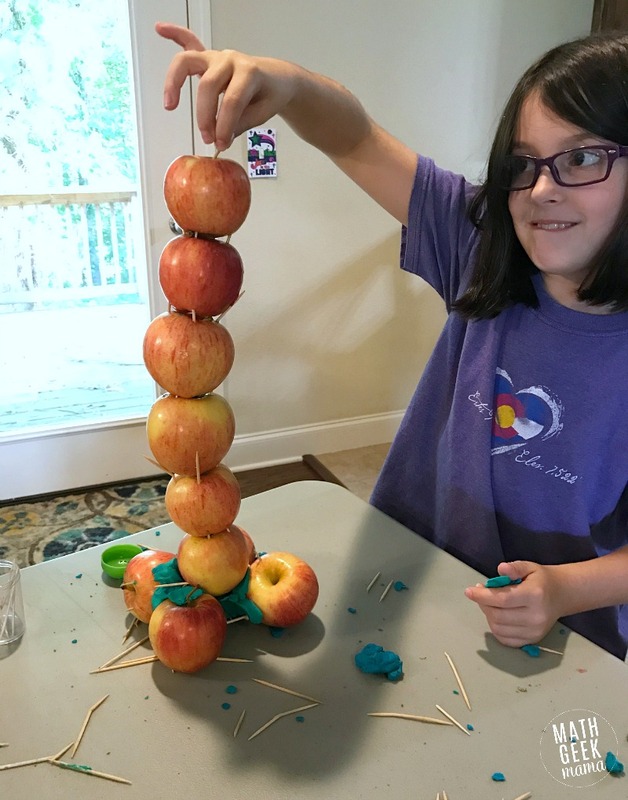 You may even want to let kids know up front that building a tower that can stand without support will be difficult, and maybe even impossible. But that shouldn’t keep them from trying! Hence, the reason for the ten apple requirement. 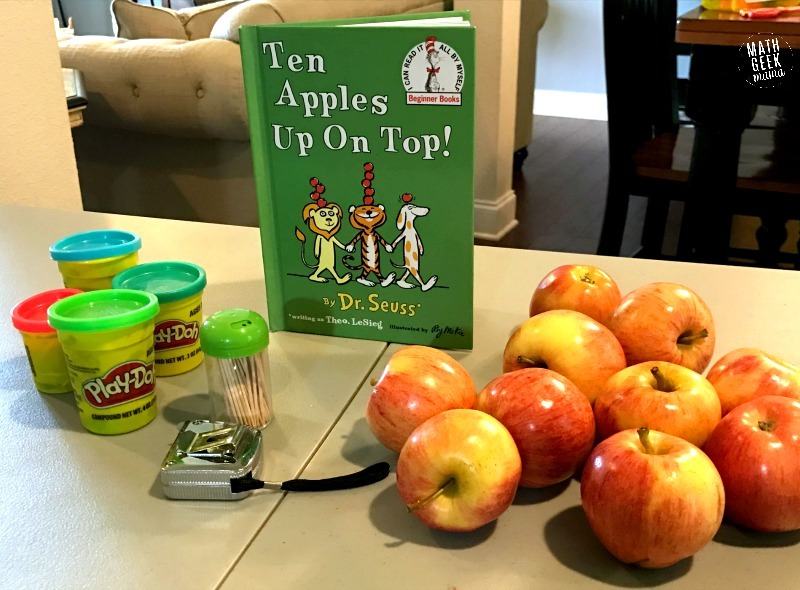 Plus, I absolutely love the book Ten Apples Up On Top by Dr. Seuss, and I love the idea of having a fun STEM challenge to use along with that book. Find a simple printable board game to use with it as well right here. You could also read the book, Ten Red Apples by Pat Hutchins. So after explaining the challenge to your kids, and letting them know what supplies they will have at their disposal (toothpicks and play dough), have them draw a sketch of their design plan. This is something they can do individually before heading to their group. I loved seeing my four kids come together, each with their own idea of how the tower should be built, then work through which idea may work best. 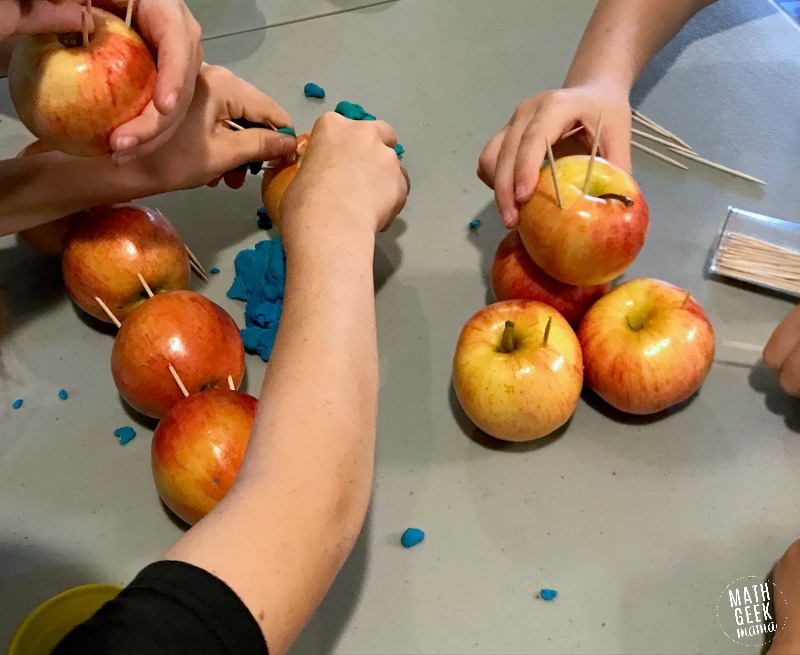 As they experimented, they were then able to look to others’ ideas for balance and support to try out different ways to build a stable tower of apples. Once kids have a plan in place, you can set them loose with their group. I suggest setting a timer to keep kids on task and make sure they have time to complete the measurements and discussion questions afterwards. You may also need to remind kids that they can measure the height, even if they can’t create a structure that stands on it’s own. They’ll simply need to have one partner hold the tower steady, while another partner measures with a ruler or measuring tape. You can then let kids return to their seats for the “Analyze It” discussion questions. If you teach Kindergarten or First Grade and feel like writing out the answers is to much of a challenge for your kids, simply use these as whole class discussion questions. If you have multiple groups who completed the challenge, take time to compare and contrast the different strategies and different measurements. 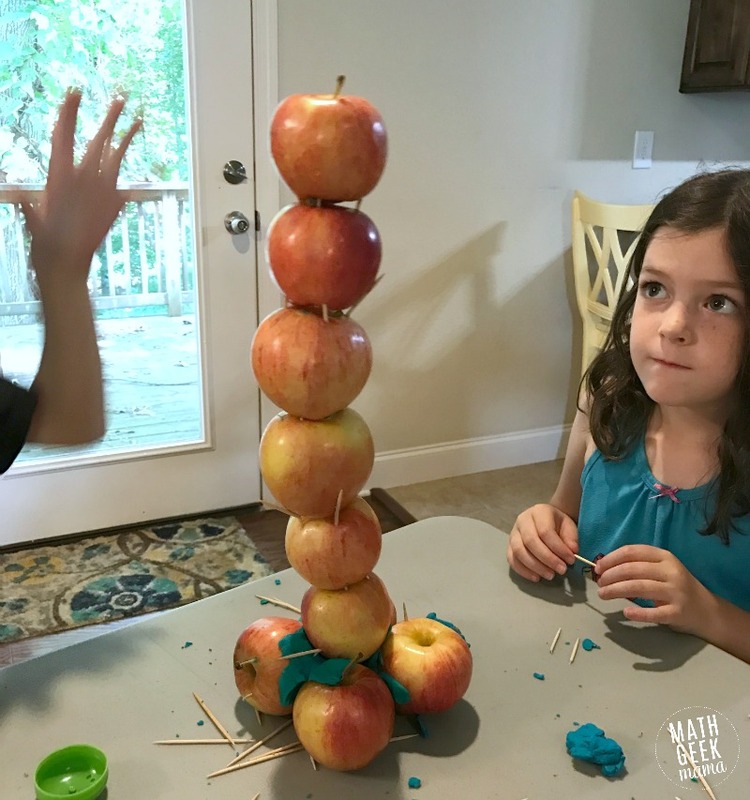 Let kids share why they built their tower the way they did and how they tried to stabilize it. Unfortunately, it immediately toppled over. LOL But my kids thought it was great! And of course, if you’re able to thoroughly remove all the play dough upon completion, kids can then enjoy a tasty snack! Personally, I washed all the apples as best as I could and then sliced and peeled them to make homemade apple sauce. 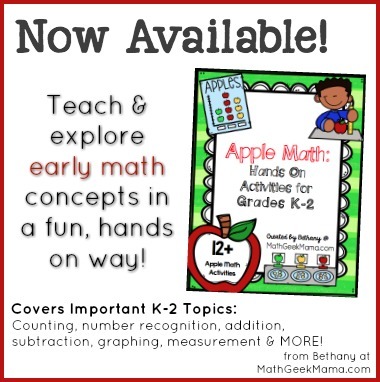 This would also make another fun and easy activity to do with your kids, whether in the home or the classroom! 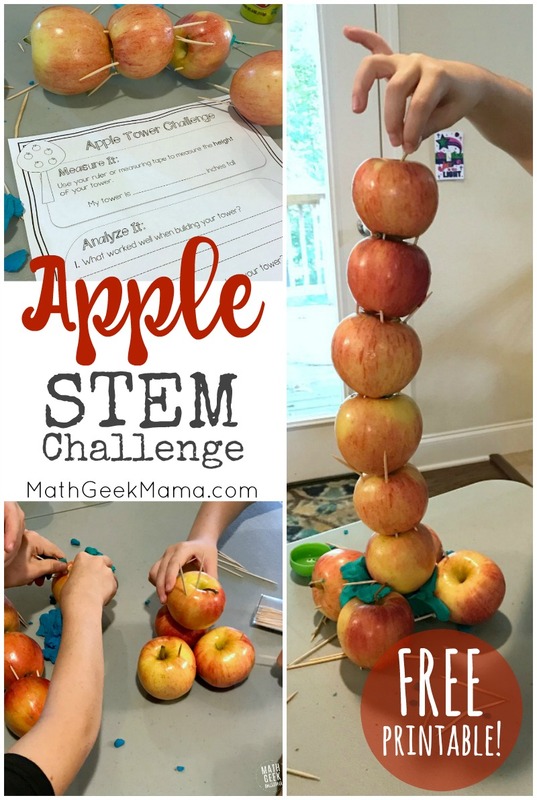 And it’s as easy as that, a super simple Apple STEM Challenge for kids of all ages!